Enables businesses to successfully exploit new ideas. Provides the essential keys to unlocking competitive advantage in an increasingly challenging business environment. 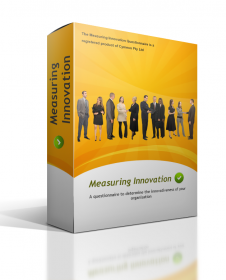 Designed for HR professionals who want to make their organisations more innovative. Learn which organisational and management structures and practices best lead to innovative capability. There are 10 questionnaires designed for self-assessment. They can be used for a comprehensive and integrated view, or one theme can be assessed at a time.